Re-posting a blog by Quentin Wodon, a lead economist at the World Bank expressing his understanding and perspectives gained from the presentation by Mr. Rabi Karmacharya in a seminar organized by The World Bank Group in Washington D.C. about OLE Nepal’s successes and challenges in implementing laptop-based integrated learning initiative programs from pilot phases to scaling up. 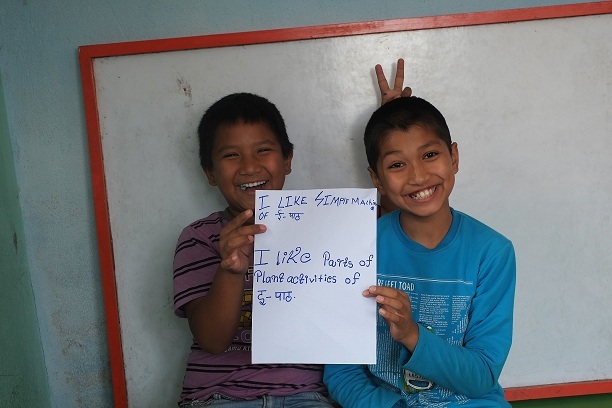 “Impact evaluations are key to how we think about development. Pilot programs suggesting statistically significant impacts are hailed as breakthroughs and as candidates for scaling up. 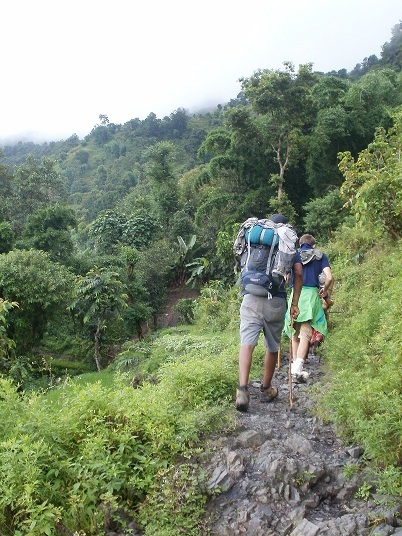 Programs without such clear impact tend to be looked down upon and may be terminated. This may not be warranted. A primary function of impact evaluations should be to improve existing programs, especially in fields where evidence of positive impacts remains scarce. 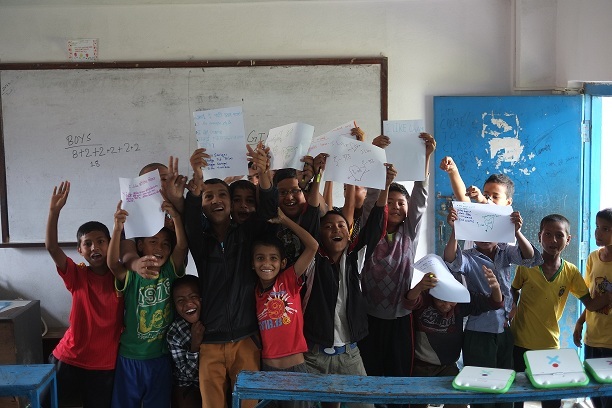 The experience of OLE Nepal, which is part of the OLE network and aims to improve learning and teaching through technology, is instructive in this regard. 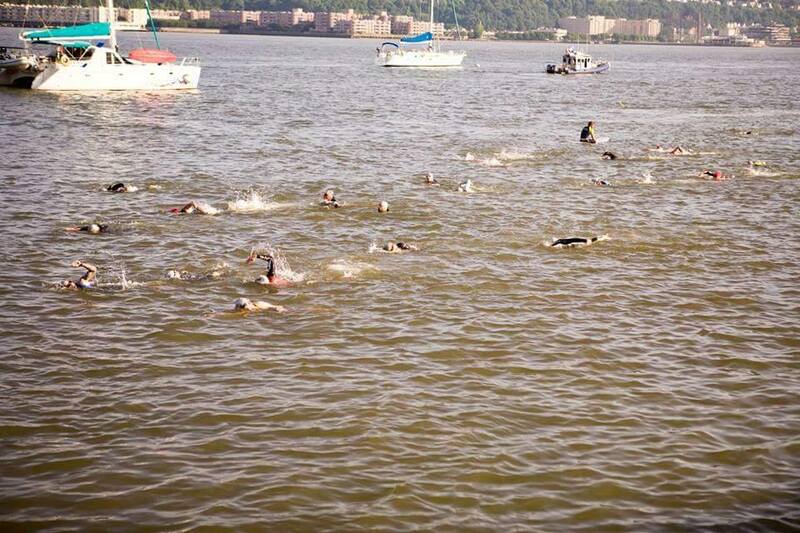 The Panasonic NYC Triathlon which was held in New York City on July 19th, 2015 saw the presence of many enthusiastic participants who ran, swam and cycled. 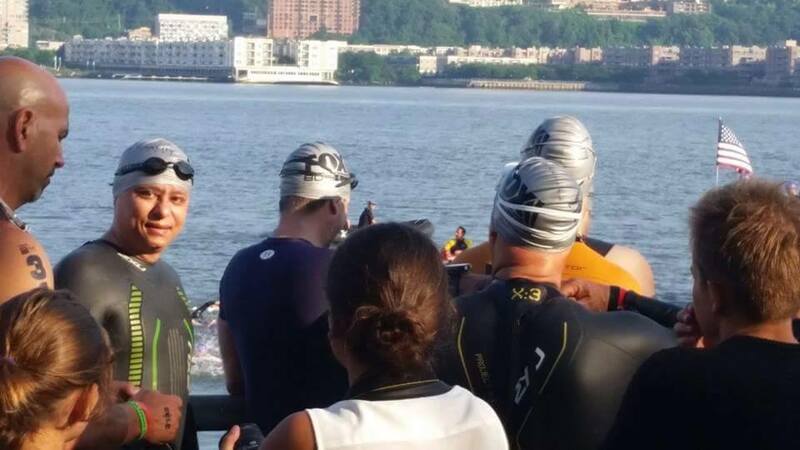 Among them was our friend Anil who successfully completed the Triathlon with flying colors. 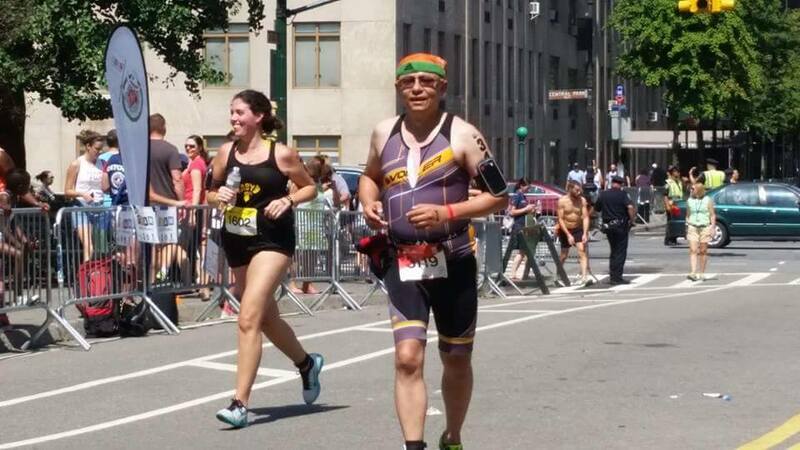 While finishing the Triathlon was his aim, his inner motive was to support a good cause. 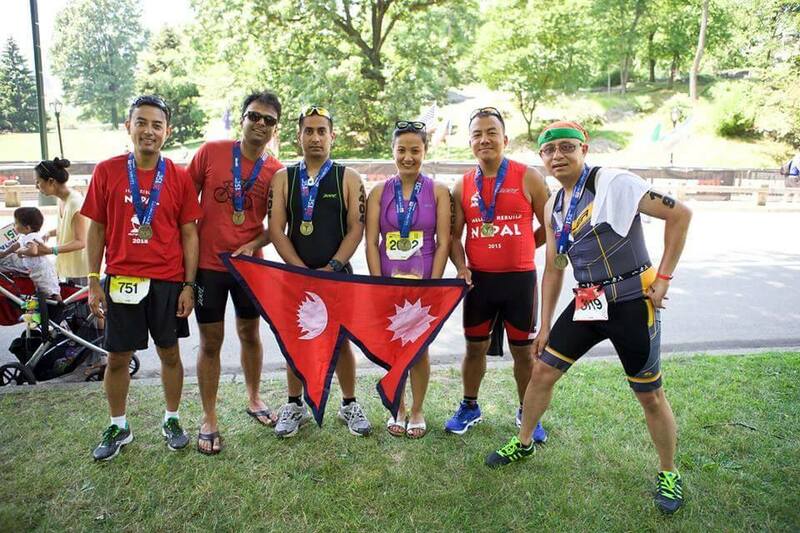 He generously supported OLE Nepal’s campaign to rebuild schools in the earthquake affected areas. 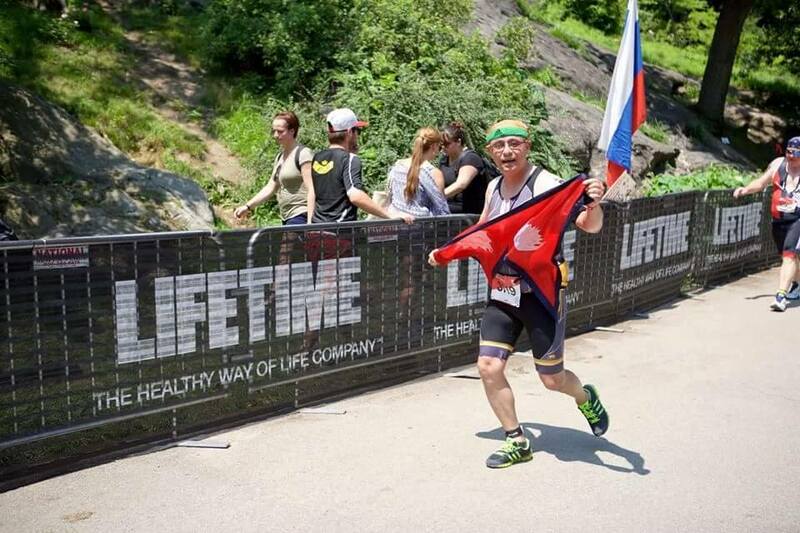 Many people cheered up for his courage and determination. Through this event, he was also successful in involving many people from his community in this campaign. His active role in spreading a word on our campaign indeed helped us gain many generous supporters. 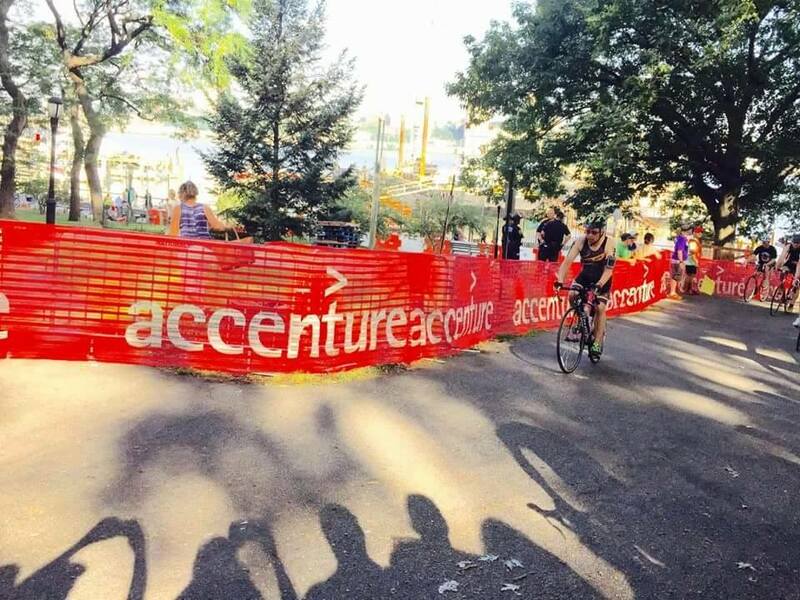 Transitioning from swimming to cycling! 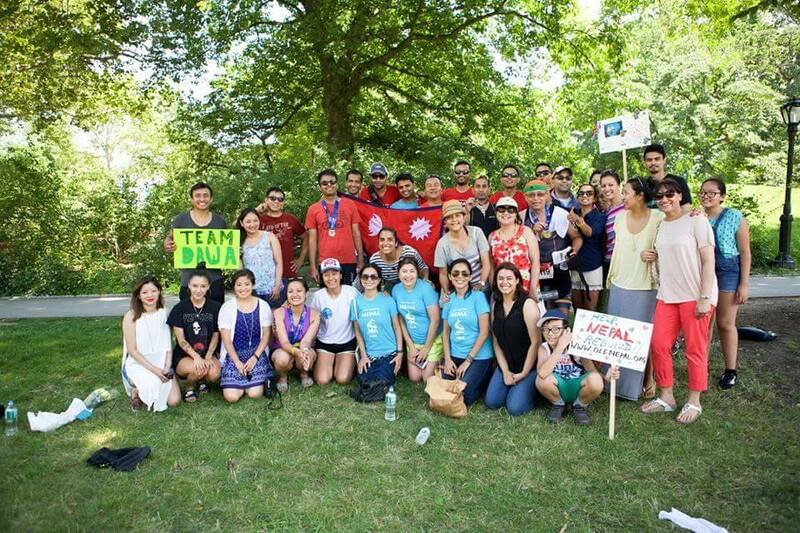 Thank you all the Nepali community members for coming out and supporting our campaign. You guys rock!! 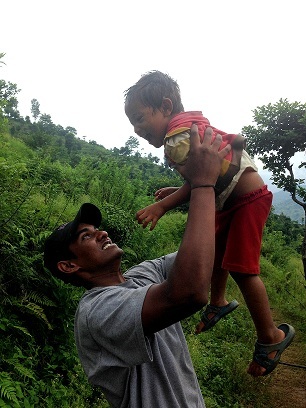 I got the opportunity to travel to earthquake affected areas in Gorkha during the last week of June alongside a team from Gorkha Foundation. 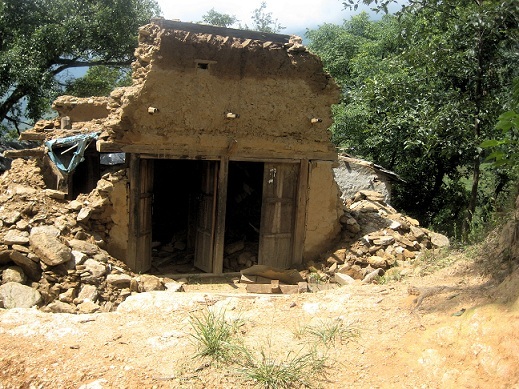 They had gone there to start building a high school in Nepane, Kearbari VDC of the district. 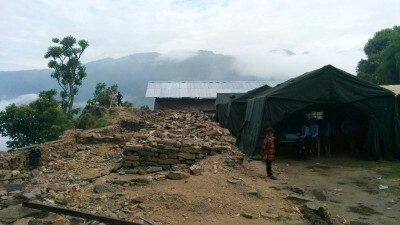 My intention was to gather first hand information of the damages caused by the two major earthquakes on April 25 and May 12, and to find out how communities had been coping with the destructions caused by the disaster. 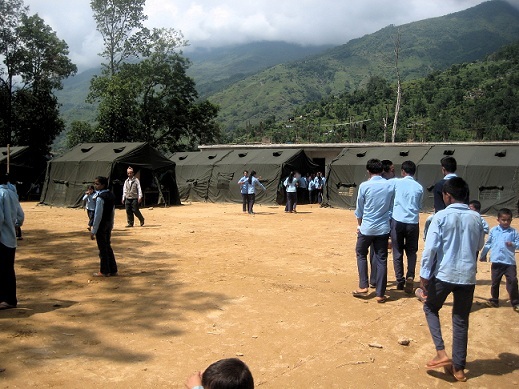 I was particularly keen on learning how schools were managing in temporary learning shelters, and what kind of help they needed both in the short and long terms. 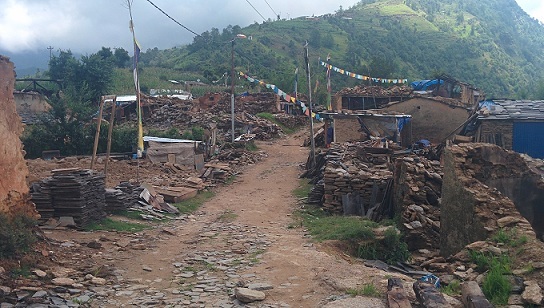 We traveled up the western part of Gorkha, along its border with Lamjung district, and visited twelve schools and met with headteachers from additional three schools in Chopprak, Kerabari, Simjung, Muchhok, Jaubari, Hansapur, Kharibot VDCs. 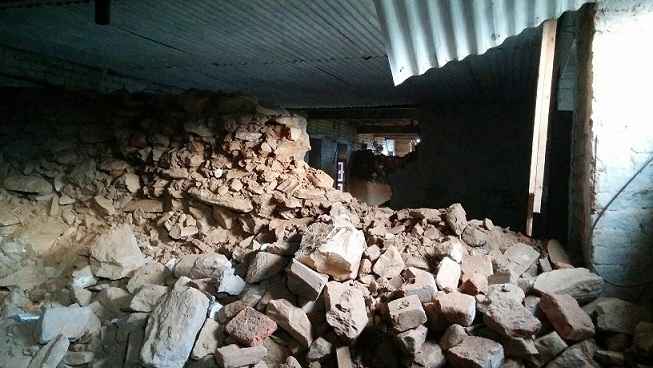 Every single one of the schools had extensive damages, with most of the buildings completely destroyed by the strong tremors. Standing in front of the obliterated school buildings, it struck me how fortunate we were that the earthquake occurred on a Saturday when all the schools were closed. 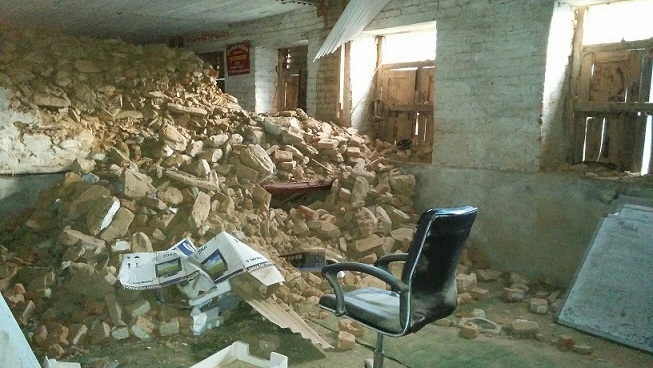 While schools were able to salvage few desks and benches, other equipments including computers were not spared when the walls caved in. 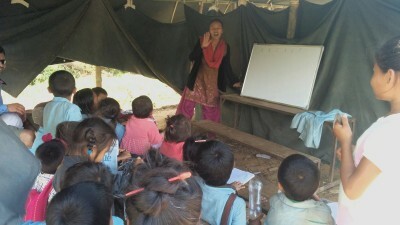 Out of the 23 schools in the district where OLE Nepal had established digital libraries, the library servers and machines were safe in about half of the schools. 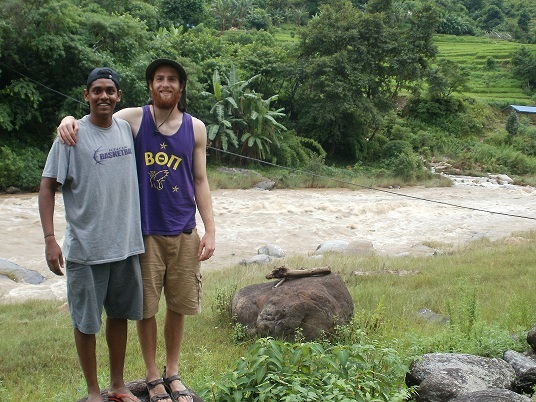 Amidst the ruins and destruction, there were a number of positive and encouraging findings. 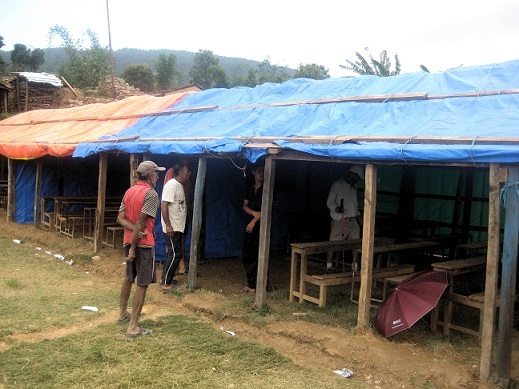 Every school that we visited had already built temporary learning shelters with whatever means and resources they could find, and classes were underway even in the sub-optimal conditions. 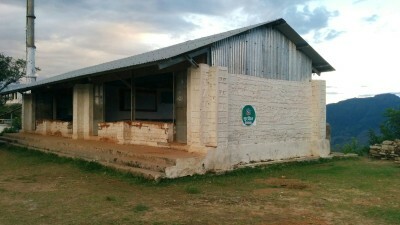 While some of the schools have used locally available bamboo and wood to build the structures and have used hay for roofing, others have used corrugated galvanized iron (CGI) sheets that they had received from various sources. 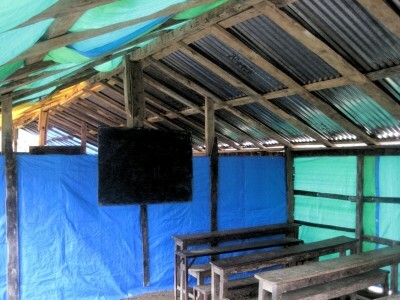 Few schools have also used large heavy-duty tents provided to them by donors. 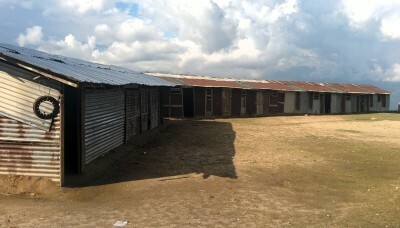 Many schools have also reused the CGI sheets from demolished buildings to construct the temporary shelters. Most schools reported attendance at above 75%. 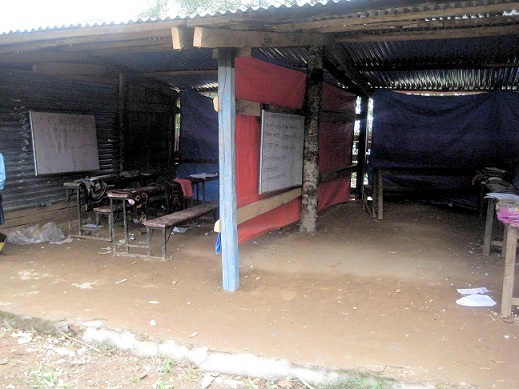 The schools did not wait for donors or government to come build the shelters for them. Each school received Rs. 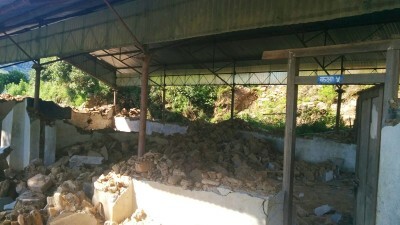 25,000 per classroom from the District Education Office (DEO) to help clear the debris and build the shelter, and a notice that they must start classes by a mid-June. Local communities, parents, and teachers got together to help build the shelters, while in some schools local youth volunteers came to help. This was an example of the resilience of the local communities, and clearly demonstrated the high priority they placed on their children’s education, especially in light of the fact that many families did not have a proper place to live in. Another interesting observation was that one building design that withstood the earthquake test was one that the government had been promoting for about a decade. 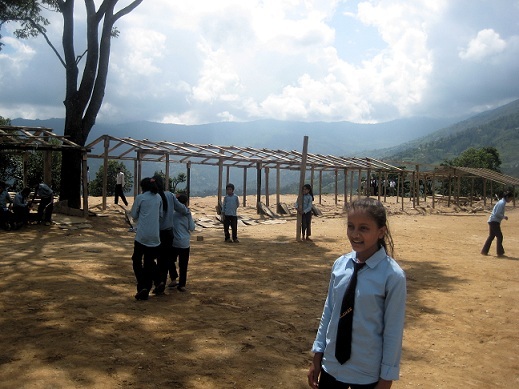 The two-room truss structure designed with assistance from Japan International Cooperation Agency (JICA) was found standing in all the schools we visited even when the adjacent structures were completely obliterated. 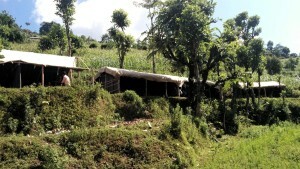 The walls that were built using stones and mud had come down, but the truss system and roof were left intact. In one school where the wall was built using stone and cement around the truss structure, the building got a green sticker from the inspector, allowing the school to run classes in the building, whereas all the other buildings in the school got red stickers. Future building design for schools should definitely take this fact into consideration, with modifications on the walls to make them safer and stronger. The school headteachers and community leaders showed interest in moving on from temporary shelters to build permanent structures. At the end of my visit, I met with the Chief at the DEO, Mr. Hari Aryal, in Gorkha Bazaar, and discussed the DEO’s plans for reconstructing schools. He said that the DEO is expecting approved designs from the Ministry of Education by July end, after which schools can start the building process. Another crucial task was completed with assessment of the most affected area, Gorkha district. Our team was there last week. 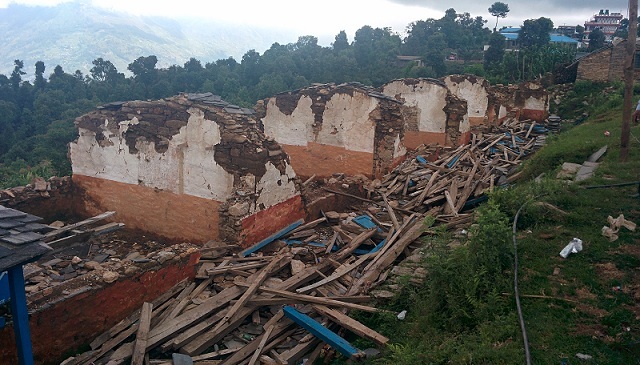 We did a thorough assessment of the schools which were severely damaged by the earthquake. 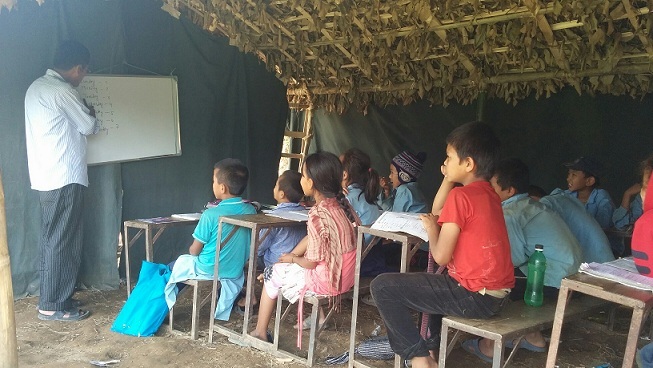 After spending almost a week in different places of Gorkha, we came across many schools which were in no position to run their regular classes. 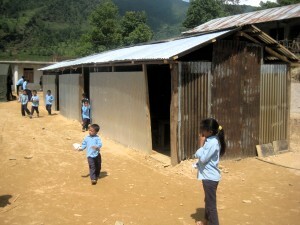 Many schools require rebuilding and reconstruction. 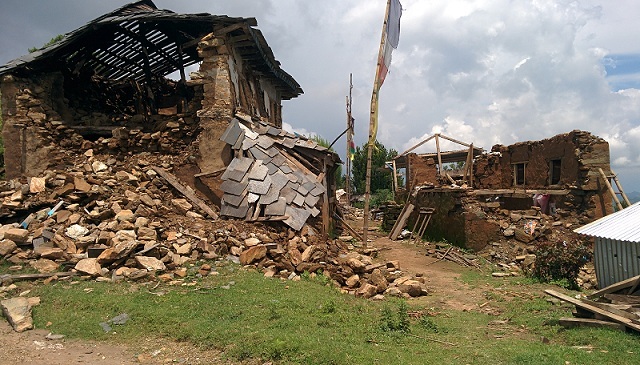 After scanning through the affected areas in need basis, OLE Nepal team is planning to reconstruct five schools in Gorkha district with generous support from our friends at AirAsia Foundation and from local and international donors. 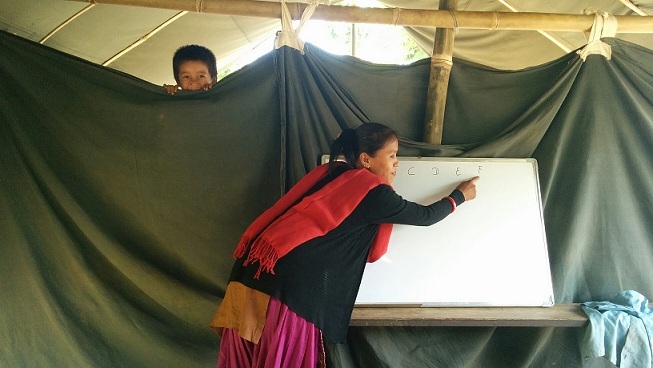 Along with rebuilding of the schools, OLE Nepal will specially focus on providing learning resources to the students through an innovative tool called XO laptop. 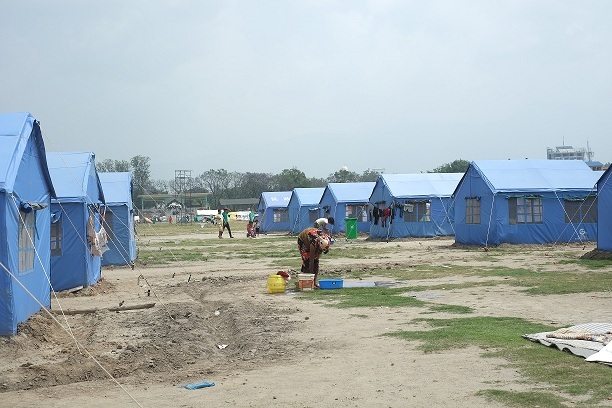 Tundikhel, an only vast open space in between the city, is now filled with families who lost their homes in the recent earthquake. 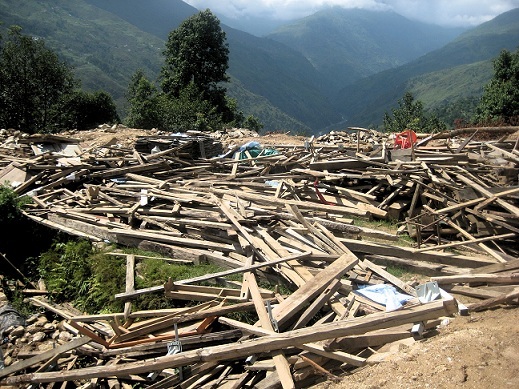 As we drive, walk or ride pass through the lanes alongside Tundikhel, we can see numerous tents – some donated by China and some made locally by the sufferers. When OLE Nepal team visited the ‘refugee camp like place’ it was heart wrenching to see people in need of necessities required for survival. Many organizations from various backgrounds provided immediate relief effort, such as food, water, shelter, sanitation, etc. 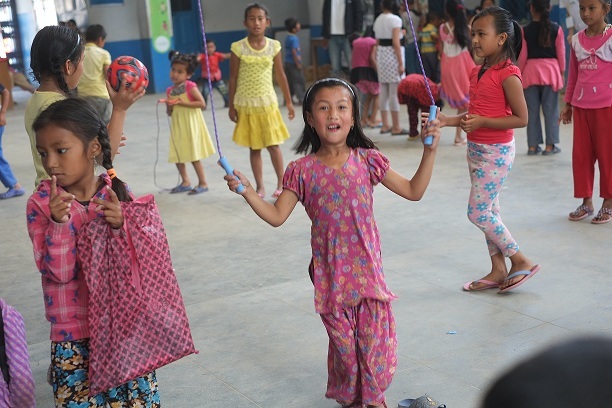 Amidst all the chaos, we at OLE Nepal are particularly concerned about the welfare of thousands of children who have been affected in more ways than one – distressed, displaced and completely traumatized by the scenes of devastations all around them. 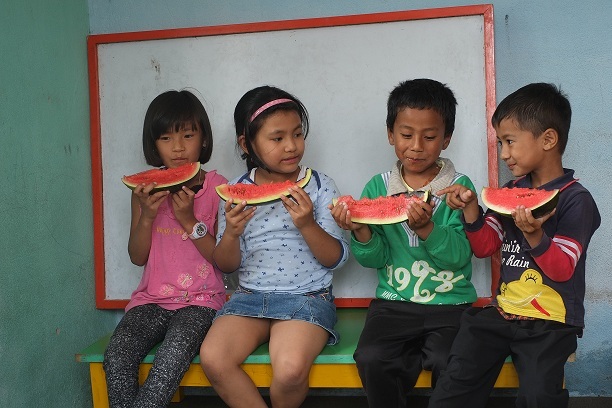 As we try to rehabilitate communities, it is utterly important to pay special attention to the emotional and physical well-being of these children. Along with their physical safety, their psychological security needed to be duly addressed as well. With so many schools destroyed, and communities displaced, many children are deprived of education and will be for months, if not years. In this critical time, it is important to give children the space where they can enjoy their time in quality learning and exploring. 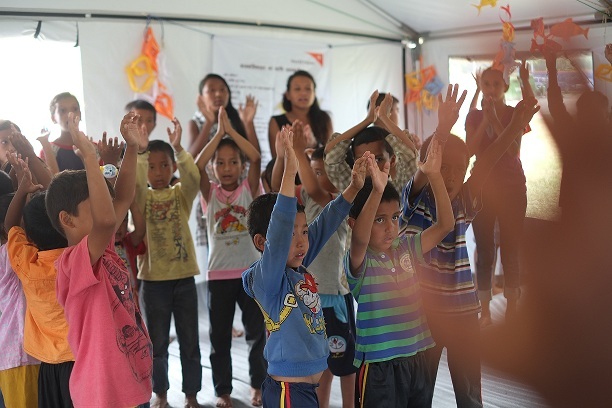 Like our previous relief efforts in Kirtipur, Khokana and Bungamati, OLE Nepal is now providing relief to the children at Tundikhel. 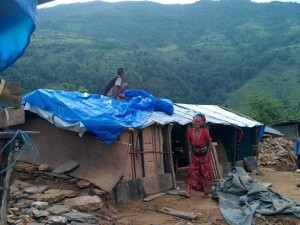 Following are the photos taken during the first day of our relief effort. Woman washing her clothes in an unbearable heat. 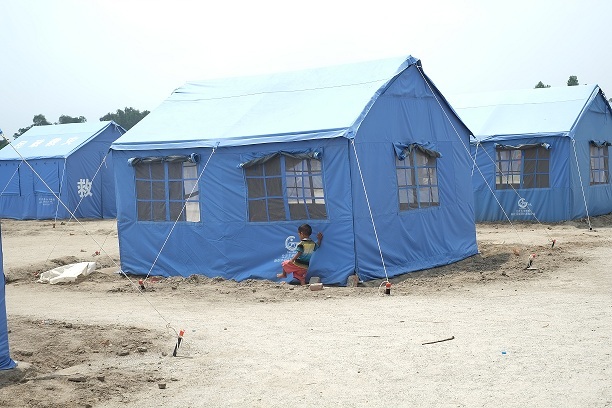 A child playing around his tent. 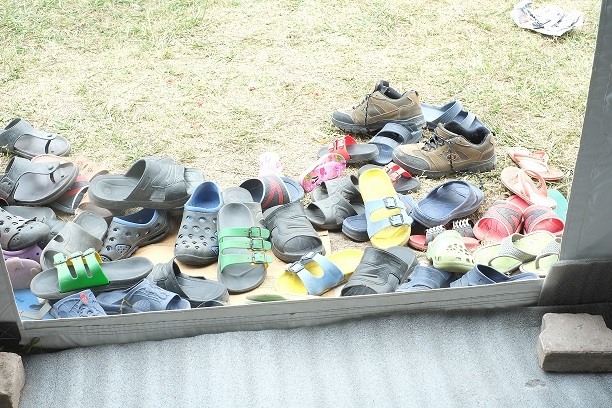 Child Friendly Space at Tundikhel. Children singing their hearts out. Kids busy in various activities. Learning through a new tool. Peter helping out kids in using the XO Laptops. Many kids showed up at the center. 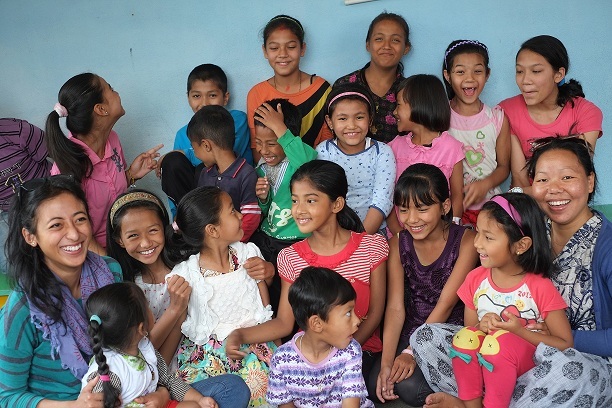 OLE Nepal’s Earthquake Relief Effort has been sprouting positive results in both Child Friendly Spaces of Kirtipur and Khokana/Bungamati. 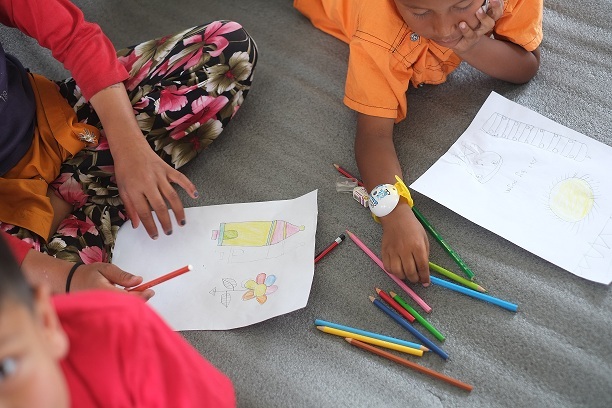 Our volunteers has been traveling everyday to provide relief for children by engaging them in interactive activities from our education tool. 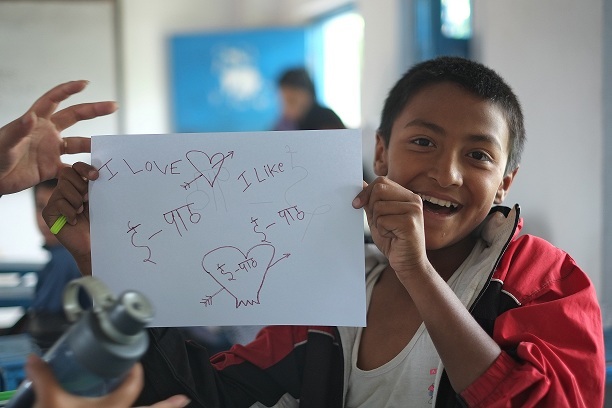 Following are some photos taken during one of the sessions at Kirtipur. 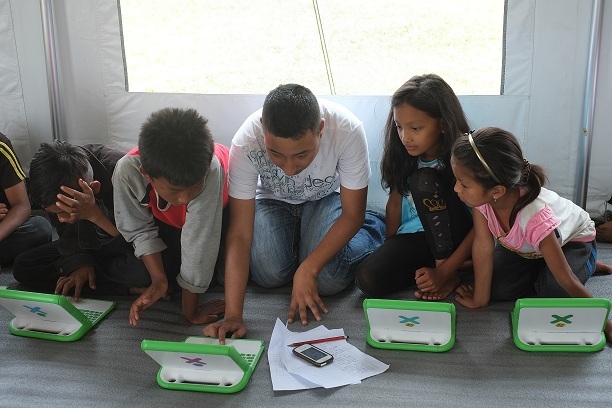 Kids exploring different activities on their laptop. Covered hall at this CFS allows students to let themselves free. Kids definitely got some refreshment after using the laptops. Group picture with kids at CFS in Navajyoti. Group picture with kids at CFS in Janasewa.